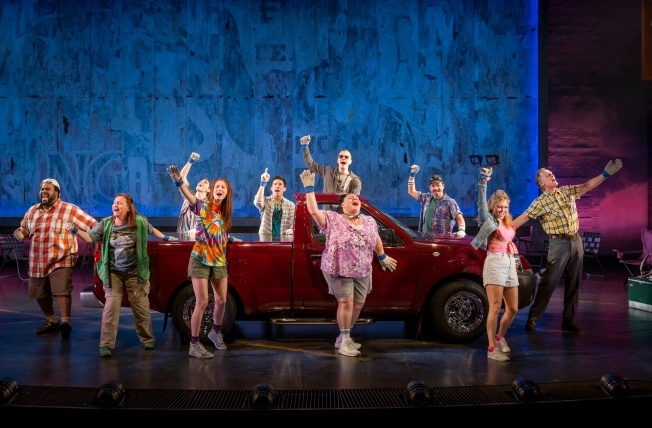 “Hands on a Hardbody,” the musical story of 10 hard-luck Texans vying to win a Nissan truck -- the last contestant with a hand on the $22,000 beauty gets to drive it home -- opened last night at the Brooks Atkinson Theatre. Based on the 1997 documentary of the same name, "Hardbody" has garnered attention in no small part because of its unusual pedigree: the music is by Amanda Green (“Bring It On”) and Phish frontman Trey Anastasio. Among the 10 Southerners eyeing the “Hardbody” are Keith Carradine, as a recently unemployed oil rig worker; Hunter Foster, as a bitter past-champion whose wife drove off with his previous truck; and Keala Settle, as a religious woman who believes her faith will lead her to victory.